"The 2018 ROUSH F-150 is mean, bold, and loud. This truck stands out from the crowd." 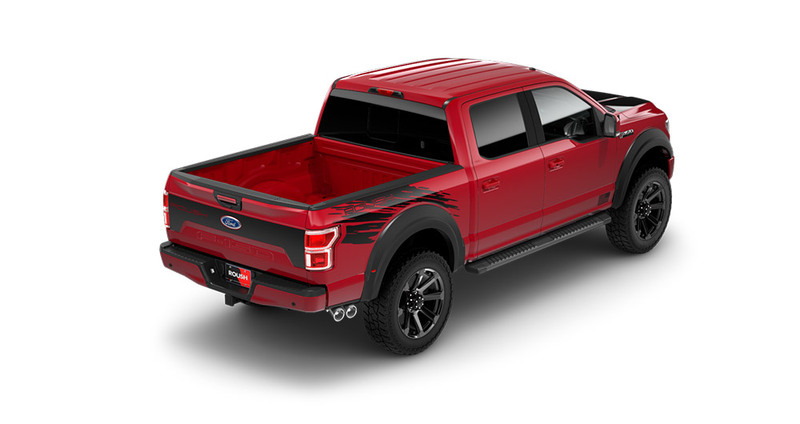 The 2018 ROUSH F-150 features a Front Grille with integrated Clearance Lighting and an aggressively-styled Front Bumper Cover that have been designed and manufactured in-house. Each truck is equipped with Fender Flares that are unique to the market and fitted with front and rear integrated Clearance Lights, as well as identifying graphics and badges. 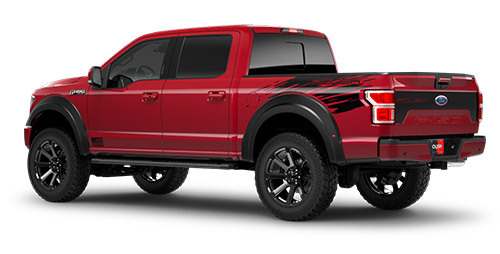 ROUSH uses the highest quality manufacturing processes to control the fit and finish of each part of the 2018 ROUSH F-150. The refreshed 2018 model year builds upon design themes from the 2015-2017 models, continuing its design heritage.